July 10th 1941 and now. St. Oswald's Flamborough. 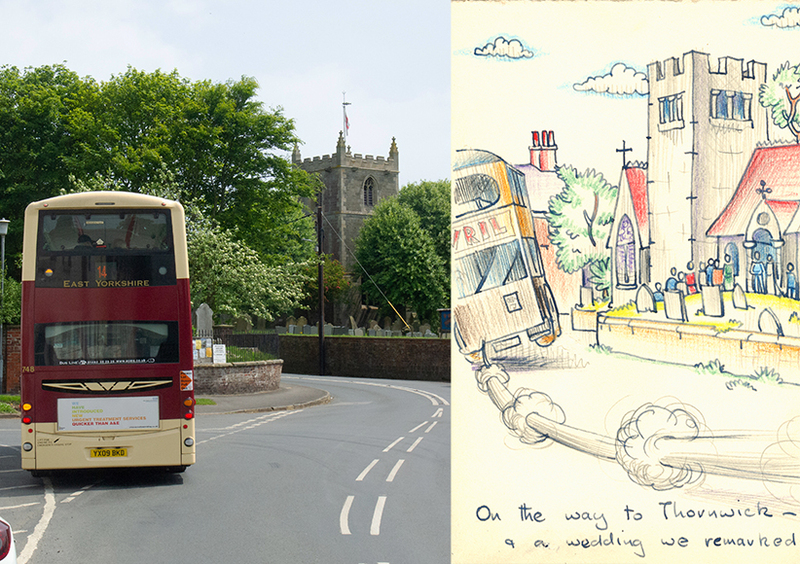 The church remembered and drawn after the event. One wedding that day: David John Edmunds and Margaret Eileen Gilliam.